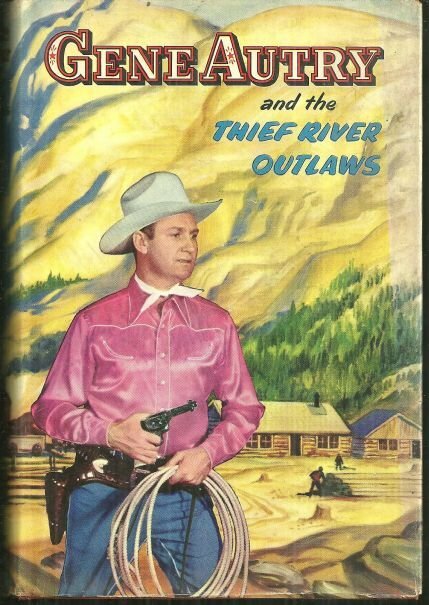 Gene Autry and the Thief River Outlaws by Bob Hamilton. Racine, Wisconsin. Whitman. 1944. Hardcover. Illustrated by Dan Muller. Very Good in Very Good dust jacket. Pages yellowing. Edgewear. Whitman Authorized Edition Vol. 2303. 249 pages.